World Land Trust (WLT) has recently helped save the only known habitat of the Golden Poison Frog in Colombia and has, over the years, funded many reserves across the tropics to protect a large numbers of reptiles and amphibians. We are therefore delighted to hear that Amphibian Ark is launching an international event to encourage people to visit their local zoos on up-coming leap day, February 29, in recognition of the success of amphibian conservation in captivity and in the wild. The day event, dubbed Leaping Ahead of Extinction, promotes the work of 58 zoos across the world and other amphibian breeding facilities that have captive breeding populations of endangered amphibians. 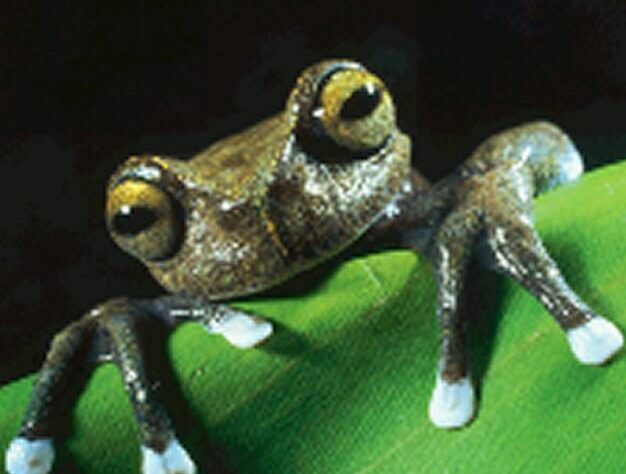 Amphibian Ark is a joint initiative by the World Association of Zoos and Aquariums, the IUCN/SSC Conservation Breeding Specialist Group, and the IUCN/SSC Amphibian Specialist Group; it focuses on 500 amphibian species for captive breeding that they fear would not otherwise survive. It is widely known that amphibians and reptiles are indicators of the health of the environment and the current amphibian extinction crisis is one of the greatest conservation challenges that we have ever faced. Amphibians are particularly sensitive to environmental degradation and their survival is threatened by deforestation, loss of wetland habitat, pollution and climate change. As well as this, a deadly fungal disease called chytridiomycosis is wiping out whole species; already 165 amphibians have become extinct, while another 130 are feared to be extinct. WLT believes Leaping Ahead of Extinction is a great way to raise awareness about this crisis and highlight the vital part that many zoos play in the conservation of threatened species. For its part WLT will continue to take every opportunity to save amphibians across the world; here are some success stories from our partners who are working to protect habitats vital for their survival. Discovered in 2011, this toad was named in honour of World Land Trust trustee Dr Nigel Simpson for his dedication to protecting the Andean cloud forests of Ecuador © Nigel Simpson. High on a mountain in the eastern Andes of Ecuador, a small population of Simpson’s Plumb Toad cling to the leaves of bromeliads and ferns in a small remote area surrounding two nature reserves, owned by WLT partner organisation Fundación EcoMinga. This toad exists nowhere else on Earth. 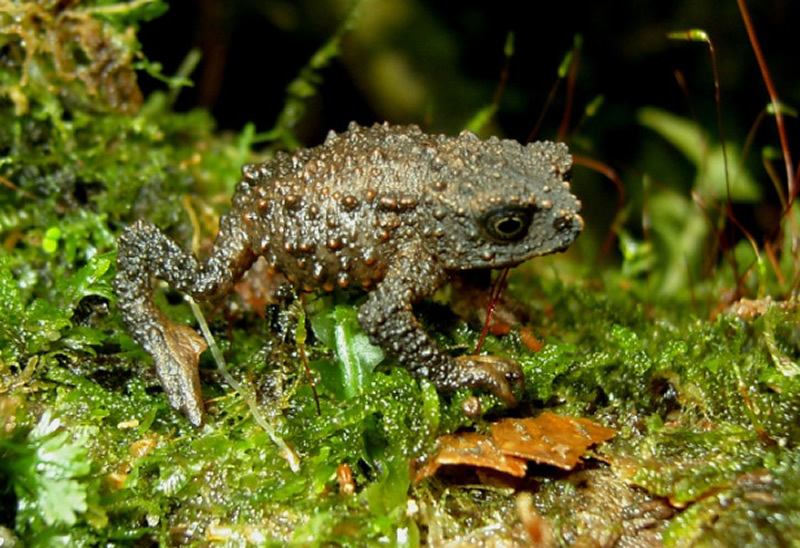 Discovered in 2011, the toad was named in honour of WLT trustee Dr Nigel Simpson for his dedication to protecting the Andean cloud forests of Ecuador. The Simpson’s Plumb Toad and other vulnerable species are threatened by the loss and fragmentation of their habitat, mainly due to the expansion of agriculture. 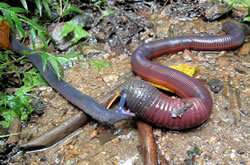 This image of a Caecilian attempting to eat a giant earthworm was species behaviour new to science and had never been documented before reserve ranger Luis Recalde captured this fascinating photograph © Luis Recalde. 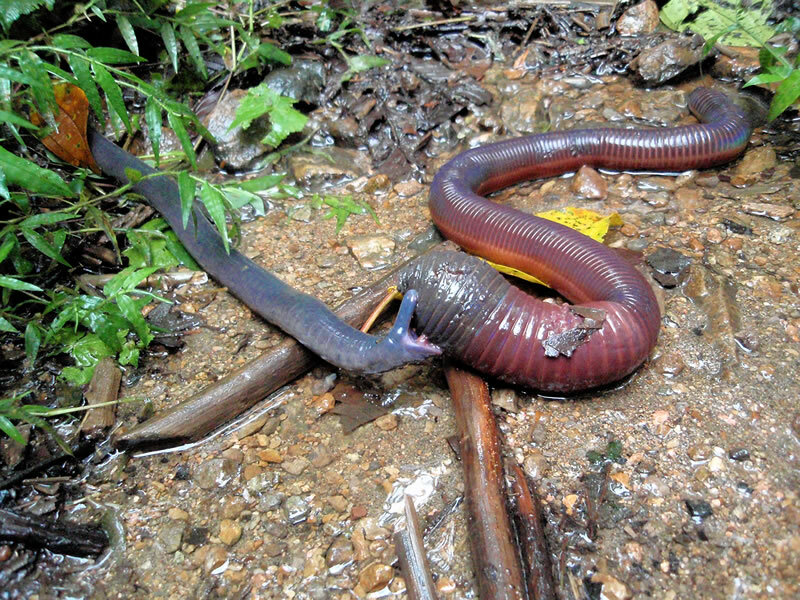 This incredible image of a caecilian (a type of amphibian with no legs) attempting to eat a metre long giant earthworm was taken by reserve ranger, Luis Recalde, in 2010. This species behaviour was new to science, having never before been documented. Luis is supported through WLT’s Keepers of the Wild, a programme that is putting more reserve rangers in field and providing them with much needed equipment. 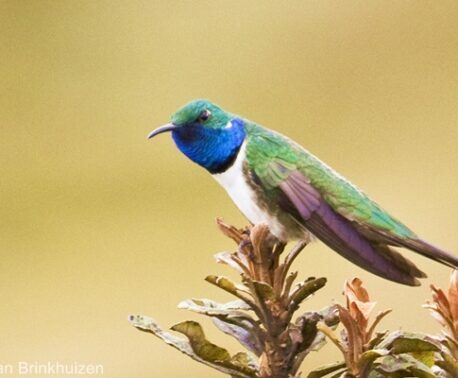 A camera not only allows Luis to capture images of rare wildlife but to also document any signs of illegal hunting or environmental damage in the reserve. In westernmost Colombia, WLT helped create the 124 acre (50 hectares) Rana Terribilis Amphibian Reserve in early 2012 to protect the Golden Poison Frog – considered the most poisonous vertebrate on Earth. Just 55mm in size, this tiny vibrant creature carries a single milligram of toxin – enough poison to kill about 10 humans. Yet people pose a much greater threat to the species with a weapon that their toxins cannot defend against – bulldozers. Habitat damage and destruction is the major threat to the species’ survival. 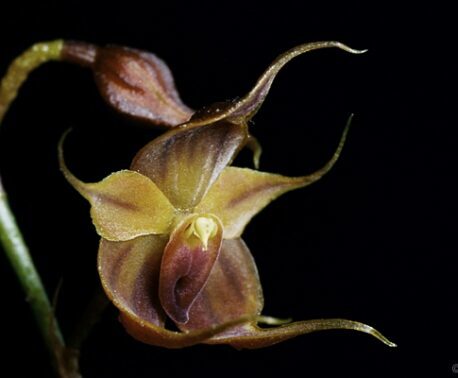 It is considered by many to be on the edge of extinction and was completely unprotected until now.